Just beyond a colorful barrier reef, lapped by gentle blue waters on a softly curving crescent beach, lies Rosewood Little Dix Bay - a truly authentic destination, tamed for sophisticated tastes. 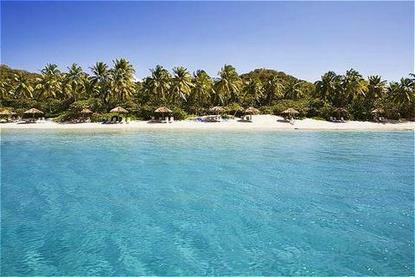 The timeless boutique resort on the island of Virgin Gorda offers tranquility found nowhere else in the Caribbean. Little Dix rewards its discerning guests with an instantaneous retreat from their fast-paced lives. In the absence of the commercialism, Little Dix connects one to the surroundings. The Caribbean hideaway of Rosewood Little Dix Bay is nestled on the untamed island of Virgin Gorda in the British Virgin Islands. It is an island of rolling hills, beautiful isolated beaches and spectacular geological formations surrounded by astonishing clear waters of the historic Sir Francis Drake Channel. The world famous Baths of Virgin Gorda, unsurpassed sailing and numerous unpopulated islands nearby to explore and snorkel by combine to make Virgin Gorda a destination like no other. designed for children over the age of three.